We are an all-volunteer organization. Anyone who wishes to get involved, at any level, is absolutely welcome. The Delaware Equine Council and the Delaware Equine Council Foundation are organizations made up entirely of volunteers. The more people who join us, the more we can do. We hold several events every year from trail rides to banquets, we could use help at any of them. Our monthly meetings require organization, setup, clean up, and officers to run them. Our new web site is currently managed by one volunteer; we have big dreams for what we can do there, but that will take more people to help. We hold seminars at some of our meetings; anyone with information is welcome to come and share. We also have several programs that help us fund the events we hold as well as support the donations we make to other organizations and causes that promote equine activities in the First State area. 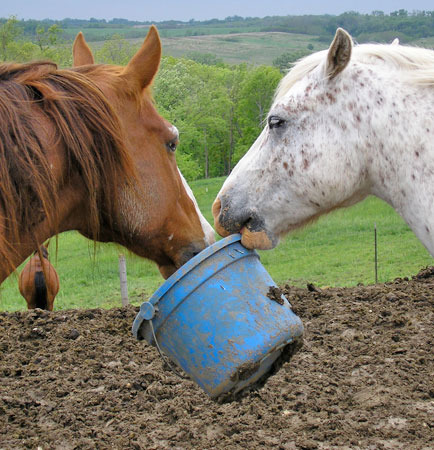 You can support the DEC and equine organizations by saving your register receipts, sporting a cool license plate, or buying certain brands of feed. The DEC runs several events each year, large and small. We can always use help organizing, running, and promoting them. If you have a knack for organization or would just prefer to help clean up, we can always use your help. Below are lots of ideas. Let us know if there is anything that interests you. Cooking - manning the grill, etc. Some of the bigger events we do: Member Appreciation Day, The DECF Scholarship Banquet, Autumn on the Brandywine Riding Event. These all take many people to help out. Smaller task, such as information tables at the state fair or partner organizations, require support too. Check out our Calendar page to see what we have scheduled. IT and Office Help Needed! Our webmaster is a volunteer. He actually has a real, full-time job (not in computers). Creation and management of this site is a hobby. We, the DEC, would love to expand the capabilities of the site into lots of things: classified ads, riding meet-up pages, ways to connect our commercial and organizational members with everyone else, photo contests, make the directory interactive on-line, expand the newsletter, etc. To do that, he will need helpers. No programming experience will be needed. All you will need is a willingness to learn some new skills and access to a computer. Below are some of the areas you can volunteer. Text authoring and editing. All these little descriptions and explanations - somebody has to write them. What it is: This program gives back 1% of the total qualifying collected receipts to the DEC.
How YOU can help: Use your Redner’s Rewards Card when you purchase items at Redner’s Markets. Turn in your receipt to DEC via mail, give to a board member, or deliver in person at a monthly meeting. The whole receipt must be turned in. Partial receipts will not be considered. Do NOT use a highlighter on any part of the receipt. It can erase the totals. All receipts must be dated within three years prior to date of submission. Receipts from fuel purchases at Redner’s Quick Shoppes are NOT considered. What it is: SHOW is Special Horse Organization Winner. This program gives back $0.25 for each proof of purchase seal turned in from Southern States and Legends horse feed bags. Bulk feed purchases receive $10 per ton. Just turn in the original customer copy of the delivery ticket. How YOU can help: Save the proof of purchase seal from the Southern States or Legends feed bag. Turn in your seals to DEC via mail, give to a board member, or deliver in person at a monthly meeting. The Delaware Equine Council has worked with the DE DMV and created a license plate to promote the Delaware Equine Council. This program gives the DEC $35 of each plate sold. How YOU can help: When renewing your vehicle registration, ask to have the Delaware Equine Council plate. This will cost a one-time fee of $50. The DMV will take your current plate number and place it on the DEC plate. Helpful tip: You do not have to wait until your registration expires. Just request to have the new plate. Please just fill in a little information below. Include a description of the type of thing you would like to do. Our Volunteer Coordinator (BTW, that job could be yours) will get back to you shortly with more information. Your information will be sent to our Volunteer Coordinator, who will contact you within a few days. All fields are required. We are a group of volunteers dedicated to promoting an enhancing the equine industry in Delaware.